And Ro-Tel, canned tomatoes and green chilis (plus salt. calcium chloride, citric acid, and unidentified "spices") presumably to be mixed with Velveeta, and then dipped with Doritos chips. 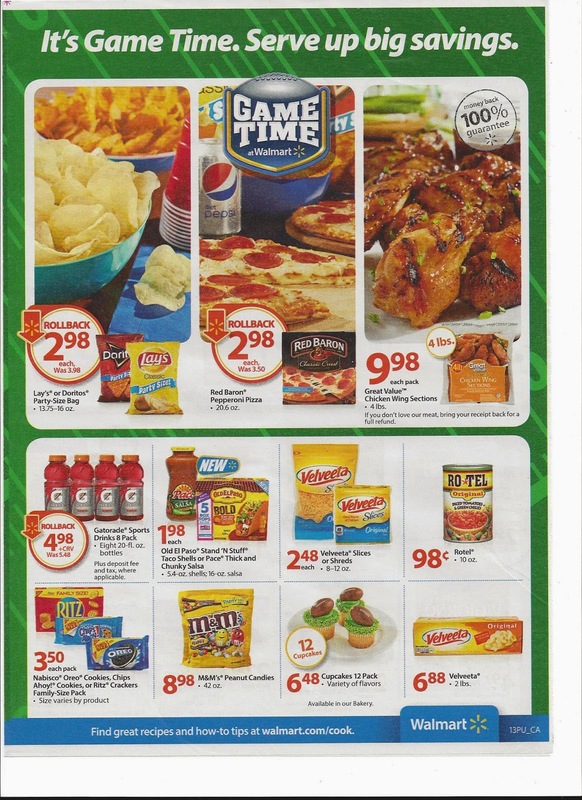 Walmart's fun "Game Time" meal is a time-bomb of salt, sugar, and fat cleverly engineered by industrial mega-corporations to maximize sales and profits. Problem is... that time-bomb will detonate in your body. In most countries, this highly-processed industrial-concocted "meal" would be viewed as an inedible morass of amped-up salt and sugar flavors. Disgusting fake food. This "meal" is guaranteed lethal to your health. A diet of salt, sugar, and fat, laced heavily with hundreds of chemicals...preservatives, fillers, emulsifiers, artificial colors and flavors... has been scientifically linked over and over to diseases including diabetes, heart disease, even cancers. A massive new study by the American Association for Cancer Research found that 25% of cancer diagnoses are directly related to "poor dietary habits" and "obese or overweight," usually stemming from poor diet and exercise. I don't mean to call-out Walmart as singularly responsible for ruining Americans' health. Most major U.S. food retail corporations are to blame for fattening profits by selling products that fatten customers. Take, for instance, this Target ad, which was wrapped around a late August "Back-to-School" promotion. 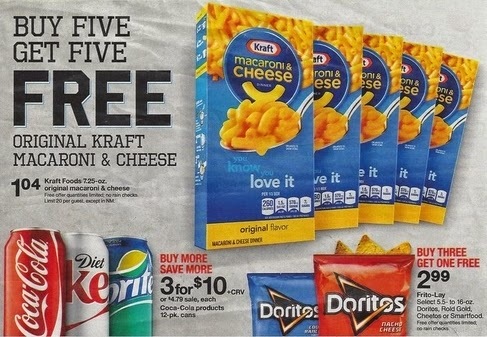 The Target ad prominently pushes the big three of highly processed, intentionally addictive U.S. junk food favorites of children... Kraft macaroni & cheese, Coca-Cola soft drinks, and Doritos chips. Convenience foods for cheap prices. At back-to-school time when time and money are scarce for lower-income parents. The solution? Don't buy this junk. And as much as possible, don't buy from corporate retailers who sell this junk. Buy from farmer's markets and green grocers. Buy from stores that specialize in higher quality products. In my neighborhood, that includes Sprouts, Whole Foods, and often, Trader Joe's. Remember.. Products that don't sell will be dropped by markets and ultimately discontinued by manufacturers. And retailers with sale drops will respond by changing their product lines. We, the consumers have all the power. Let's use it to dump highly processed fake-foods from our football parties, from our childrens' palates, and from our tables. Let's use our power as consumers to take back our health. Taco Bell Salad: Why No Warning Label for Lethal Salt Content? Similar mind harm and psychological issues have New Orleans Saints vs Carolina Panthers live stream been connected to the suicides of former NFL gamers. They had been affected by serious depressive problems and irregular actions.